This guide covers studio display technology including the latest in LED video wall solutions and video wall controllers. While Advanced does not have a booth at NAB, the company will be meeting with clients and giving VIP tours of the latest in LED technology, a trend Advanced President David Weatherhead sees as a driving change in broadcast studios. AV Design Services, the leader in Studio Visualization Solutions, is here to help you sort through all the noise of the technology options blanketing the show halls and invites you to come and experience our design expertise which will transform your studio concepts into a functional and affordable reality. Avid will showcase innovations for everyone from large media enterprises to creative teams, independent professionals and aspiring pros. Maestro | TD Control, Avid’s studio display control solution, will be on display at NAB along with a variety of other studio production solutions. Coleder will be showcasing a variety of LED solutions for broadcasters including their newly launched Edge1.9 display. DesignLED Technology is focusing on Fine Pitch Flexible led screen and custom led projects for the broadcast industry, with its natural curve, front access service, light weight, easy installation features. Now available in 0.9mm, 1.25mm, 1.667mm, 1.923mm, 2.5mm, 3mm, 4mm, 6mm resolutions. 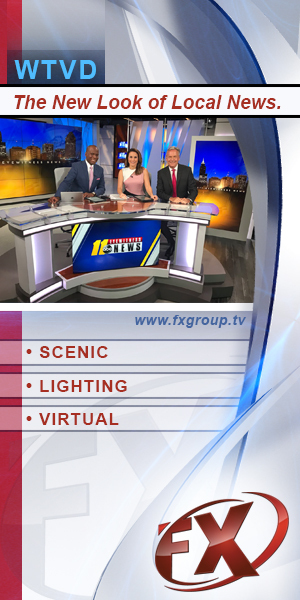 Alongside partner FX Design Group, Digital Video Group will present a variety of technology options for broadcasters. They will be joined this year by digiLED and tvONE, a leading designer and manufacturer of cutting-edge video and multimedia processing equipment and will be showcasing some of the latest trends in “Story Telling Technology” for local news affiliates. Diversified is an engineering-centric organization that works to deliver innovative digital media, collaborative, broadcasting, electronic security, and OTT solutions to a global clientele across a wide array of markets. 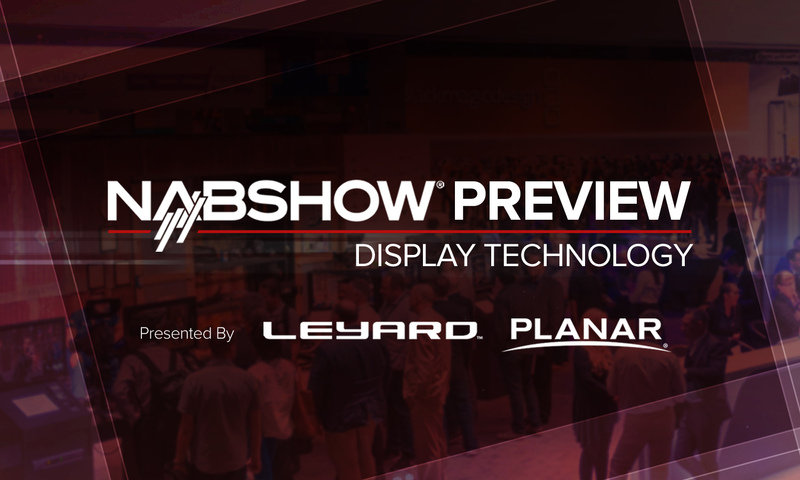 Leyard and Planar will be showcasing a variety of LED products for the broadcast market, including the Leyard TWS Series ultra-fine pitch LED video wall displays available in 0.9, 1.2, 1.5 and 1.8 millimeter pixel pitches. Neoti is one of the fastest growing LED display providers and LED service centers in the country – offering a full catalog of LED displays from 4K to Jumbotrons for the Broadcast, Corporate, Worship, Athletic, Education markets and beyond. Primeview’s display technology, including the newly launched 1.9mm HDR capable LED Tiles, will be on dislay at Ross Video booth. Primeview’s new Epic Line fulfills the high-demand of light weight, rental-style cabinets with a 1.9-pixel pitch. Alongside the 1.9mm LED, Primeview will also be releasing a new 86” Stretch LCD Monitor. tvONE is a developer and manufacturer of video conversion and AV signal distribution technology.tvONE provides a complete line-up of products and services for the broadcast video market. Unilumin Group Co. Ltd. is a developer of LED display solutions. They’ll be showcasing a wide range of innovations combining the state-of-the-art technology with high-quality material. Vizrt’s NAB Show experience will include the “Big AR Show,” focusing on how broadcasters can utilize augmented reality and virtual studios for news, sports and entertainment. Vizrt will also highlight studio wall control in a single interface through Viz Multiplay.